At our last two meetings on the 19 July and 16 August the Lodge had the privilege of Raising Bros. Jake Richards and Paul Thornbury to the Degree of a Master Mason. 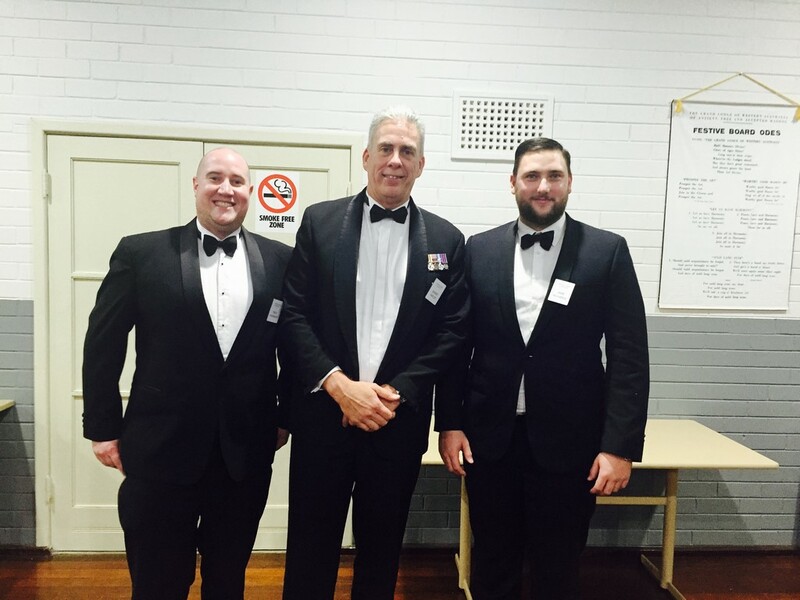 Ceremony on both occasions were completed in an excellent manner, where both candidates thoroughly enjoyed the night. On a more sombre note, the Lodge retired the Apron of W Bro Grahame Myers Manoy after his passing in July. W Bro Jim Eyres read the Eulogy and recited the traditional Ode. Bro. 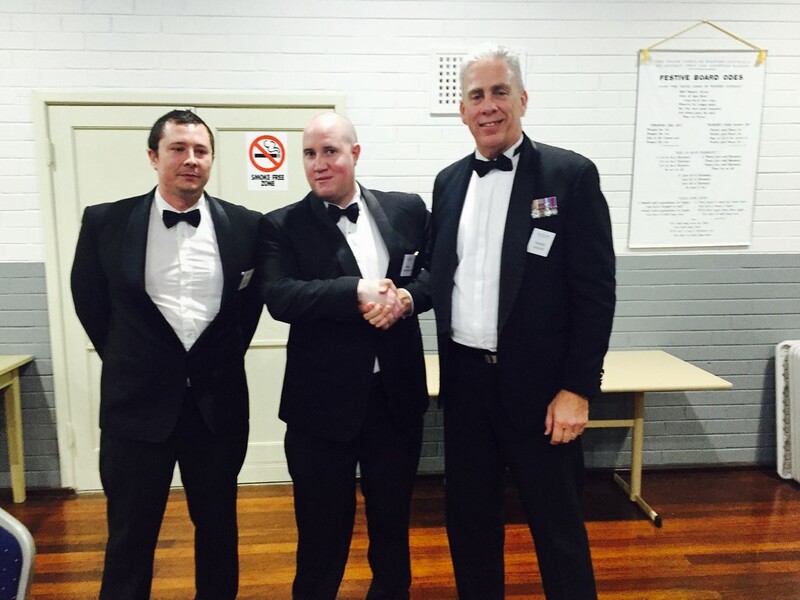 Paul Thornbury, Worshipful Master Shane Sadler and newly Raised Bro. Jake Richards.